The sixth page of my mid 90's collaboration with bestselling author Chelsea Cain (Heartsick, Sweetheart). 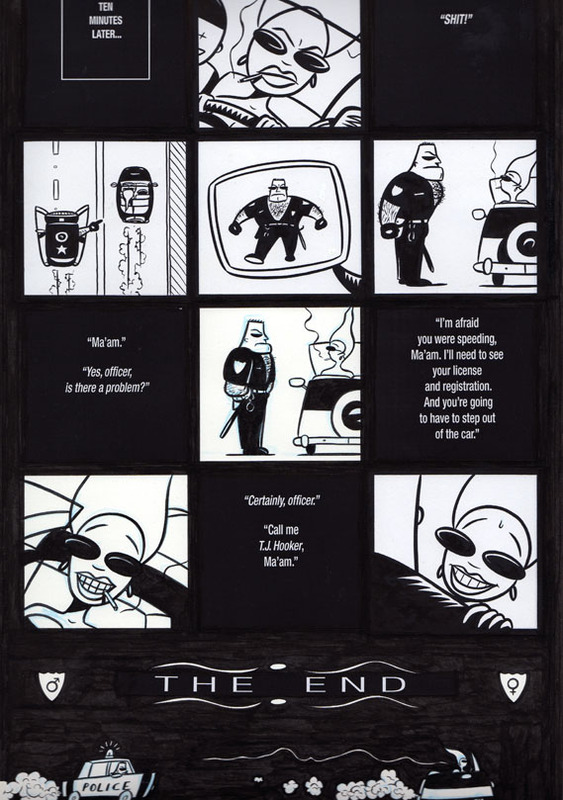 Originally appeared in Fantagraphics Dirty Stories anthology. India ink on Bristol board. Art is 8' x 13". NOTE: Text blocks are pasted on. Also, art has been cropped to fit scanner, which has created slight out-of-focus edges.